Makoto just registered on twitter yesterday. Like the other members, he, too responds to fans’ tweets (including mine!) Here’s some of the more interesting of his tweets so far. Read about his epic “Tokyo Twitter Marathon” in which he tries to achieve 1000 followers! Went to see Creature Creature today. Morrie was god. (To Yuki) It’s me. I started twitter. Cheers. I got my hay fever debut this year and my back hurts. 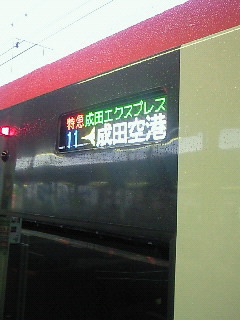 When it rains, I want to listen to Kuwata Keisuke’s “Tokyo“. Having lunch. This chicken cutlet’s delicious. I wonder if my profile picture’s any good. 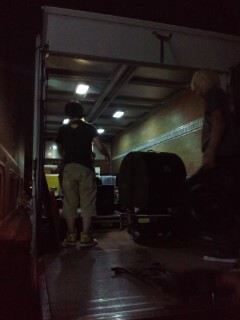 Took it at the backstage of Akasaka BLITZ. By the way, we’re busing making TRICK’s demo. All you youngsters, wait just a bit more! Am I tweeting too much? Should I just go for one a month? 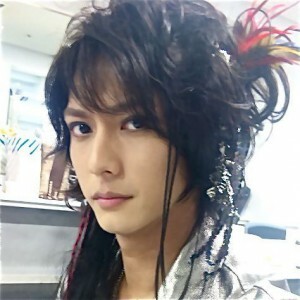 The ex-fallen angel has appeared in the world of twitter! Ah, I’m tired, I’ll get in the bath. Heating the water now. The ex-fallen angel makes his appearance just out of the bath, tweeting completely naked!! The ex-fallen angel just out of the bath, makes his appearance tweeting while chugging down milk! Kinda feel like watching a movie～ any recommendations? By the way, I recommend the South Korean movie “Breathless“. Rent it from Tsutaya! Sorry, I’ve been watching movies for about 300 years’ worth so I’ve already seen most of you guys’ recommendations. The ex-fallen angel who watches movies too much makes his appearance! I made it to 500 followers!! The ex-fallen angel is somewhat pleased. I have something to tell you all. I’m getting married! My partner is… twitter!! Any band recommendations as of late? I guess it’d be TOKIO HOTEL for me. Oh, this raayu goes well with curry. I’m done eating. Twitter for dessert!! The guy who came up with curry and the guy who came up with twitter are both geniuses. I want to make it to 1000 followers before midnight. Watching Creature Creature now!! Morrie LOVE!! Hey! Everyone, I’ve decided!! I’m not going to sleep before I hit 1000 followers!!! Bring it on!!! This Red Bull injection makes me a Datenshi BULL! Tokyo Twitter Marathon! How much more until the goal!? Huh? It’s you isn’t it, Towa?! (At this point, I tweeted Makoto) Hello! I’m a Finnish fan of Λucifer and you. Do your best to reach 1000 followers!! (Makoto → me (woohoo!)) *pant pant pant* Thank you.. To… wa.. Losing consciousness..
Oh, is this the Sanzu River? Someone’s standing at the other side of the river bank… To-Towa!? Resurrected safely! 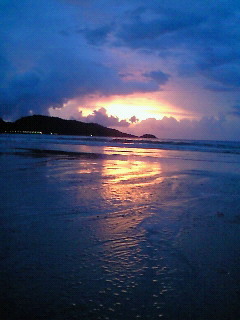 I’ll work hard for the last spurt!! Twired. 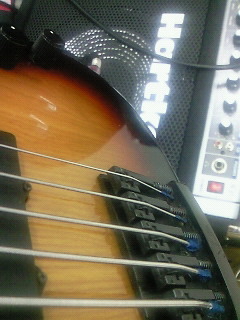 (Makoto → Tatsurou) Thanks Tacchan (v^-ﾟ) I came back safely! I’m taking part in the Twitter Marathon you invited me into!! Just a little bit more until 1000. 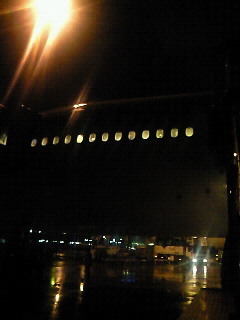 The rain’s cold. Is it just me running the Tokyo Twitter Marathon?! Someone *pant, pant* is there no one else running but me?! The last spurt! Bring it on!! Every follower one-by-one will become my courage! (Makoto, responding to especially many encouraging tweets from fans) I’m glad. So many people thinking of me.. thank you. Singing Ureshii Higeki enthusiastically now. Reached 900!! Couldn’t finish it in time today though (sweat) But I’ll definitely make it to 1000 without sleep or alcohol!! *pant pant pant* I can see the goal a little bit! Just, just, a bit more! My mom who uses twitter, too, messaged me here! I’ve finished the race!! (tear) 1000 followers achieved!! (Afterword) I got all these followers thanks to you guys (tear) Even though I crossed the Sanzu River, thank you Tacchan! Thank you Wataru! Thank you Aiji! Thank you Shinpii! 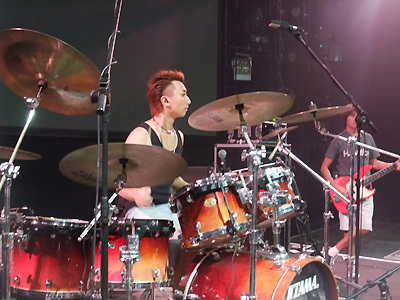 Shinya LOVE! Thank you twitter! And more than anything, thank you to all of you who supported me! Good night (chu)! Twired. PS. The promised translated Makoto interview is on its way. I swear! An English translation of a live report by VISUAL goes JAPAN. Sorry for the delay — for me and my (low) level of Japanese, this was a tough one to translate. Sorry for the lines that sound weird. By the way, VISUAL goes Japan also did an interview with Makoto. Look out for the translation of that soon. After a hiatus of around 7 years and 7 months, Λucifer returned to the live stage. The tour entitled “10th Anniversary Live Tour ‐Rinne‐” spanning from 08/25 at Osaka, followed by Nagoya on the 26th, and finally 8/31 and 9/1 at the jam-packed Tokyo Akasaka BLITZ, gave them the chance to pull off a glowing comeback. The tour title meaning “endless cycle of death and rebirth” represents the connection between the members and how even after several years have passed, they will without fail stand on the same stage again. And so, to make that title live up to its name, Akasaka BLITZ was overflowing with dedicated fans on both days as everyone came to feel an affinity with the band and enjoy this timeslip to the past. 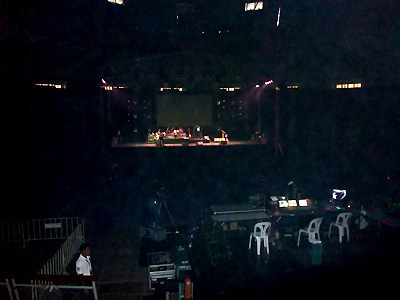 At 19:07 as the lights went out, the whole stage was veiled by a thin curtain. One by one, past clips and the members’ pictures were projected onto the curtain as the venue erupted into loud cheers. MAKOTO: “We’re back, Tokyo! Today the five of us will go all-out! Λucifer will play with all its love, so you guys, too, send all your love to the stage!” =One song after the other, the venue was filled with loud cheers. 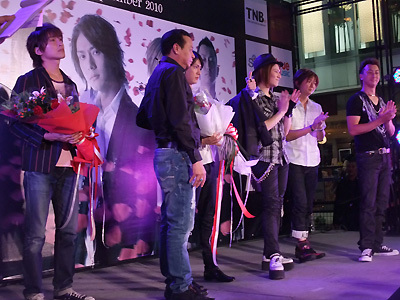 During “DUMMY“, MAKOTO, carrying a bouquet of roses, handed them out one by one to fans from the stage, and the fans who were lucky enough to get one contributed to the live visuals by swinging them from left to right. “After 7 years, Λucifer is back! Are you all doing fine?” That question by MAKOTO was followed by shouts of “Welcome back! !” and “We’re fine! !” from the fans. “What do you think, ATSURO, my comrade?” With that he passed the baton to guitarist ATSURO. As for the prince YUKI, he’d become a lot more assertive in his MC’s compared to seven years ago. What actually caused this was his mother coming to see the Osaka performance and later mailing him, saying “To make the fans excuse you for that singing, you too need to at least talk more.” MAKOTO praised him for having become more talkative because of his mother’s request. 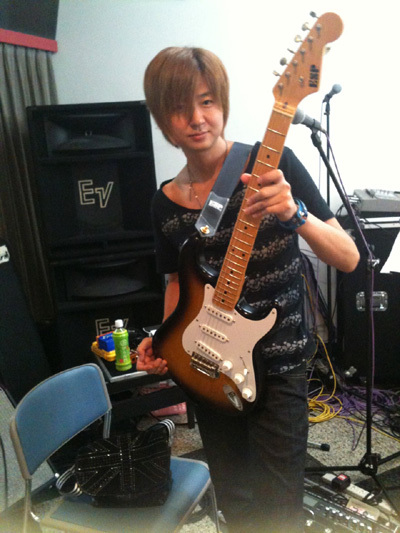 TOWA, bass, revealed to have become anxious after he saw a dream with just 20 people showing up for the revival live. But in reality, seeing this many people actually come to the live made him really glad and delighted. When he asked “How many of you have been coming to our lives ever since back then?” and around 90% of the audience raised their hands, among them some parent and child fans standing out as well, you could really feel how deep-rooted everyone’s love for Λucifer was. With the warm, enthusiastic reception of the crowd, the band getting back on stage after 7 years and 7 months really felt like a homecoming. Not resting even for a minute, with each passing song the fans relentlessly cheered and moved around to show support for the band. MAKOTO: “I wonder if I could get you guys to sing with me? You guys are seriously nuts! You being here makes all of us members happy!” With that, they began the last song of the main set “Midnight Crow” with the audience singing along loudly. During the encore… “Seeing a piano, doesn’t it remind you of something? We’ll be doing this one again for the first time in 10 years.” With that, they kicked off into the ballad “Dakishimeru Hoka ni Nani ga Dekirun darou?” as ATSURO played the keyboard for the intro, drawing applause from fans. “Thank you very much for coming in such large numbers today. From here on, too, in times of difficulty, times of sadness, times of joy, Λucifer will always be beside you all.” With that, they kicked off into “See You.” MAKOTO, who was always cheerful and happily chatting with fans during this tour, now had tears flooding his eyes. 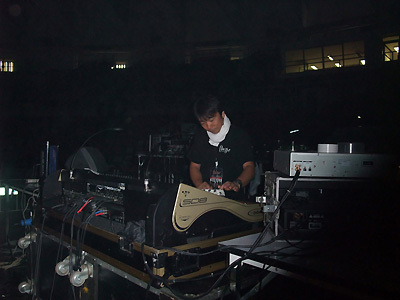 To the sound of that melody resounding in the venue, the fans sang the song in MAKOTO’s stead. Until when might this “frozen” status last? There’s no mistaking it that TOWA certainly chose those words to imply that sooner or later, the day will come. It seems that for 7 years and 7 months, the fans never stopped waiting for the band. No matter when the day of their next revival is, the warm bonds between the members and the fans will forever remain unchanged. That’s the kind of stage Λucifer had that night. Everyone gets a 2-shot picture + Thai tour goods as present. There’ll be unreleased video footage shown and games with prizes, among other things!! There might even be a surprise guest!? Reservations start from 12/01 (Thursday) 10:00 o’clock. 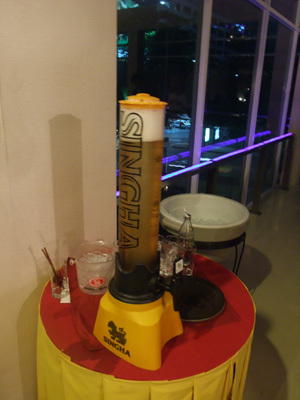 Ticket handling and commission fee ￥500. On a somewhat related note, Makoto’s band Trick has now opened their official website as well as MySpace. The latter has clips of a couple of as-of-yet unreleased Trick recordings. 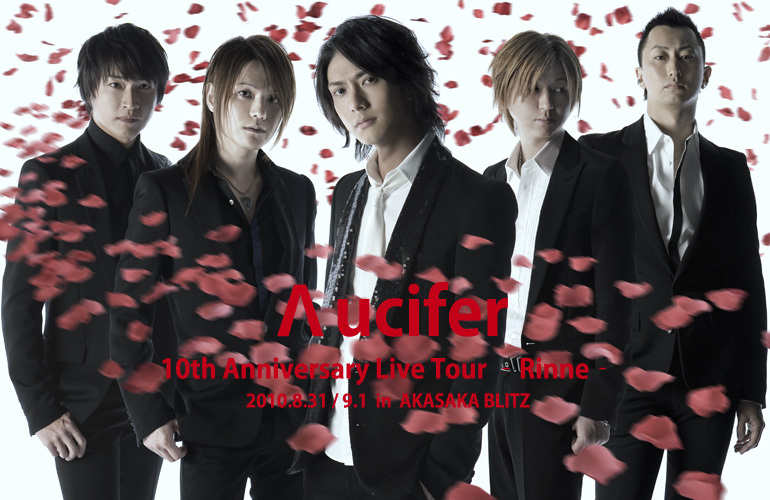 12/21 edit: Λucifer’s new DVD will be on sale at the event. Those who purchase it there will get their copy signed by Makoto as well as the special guests who are, by the way, Atsuro (12/24) and Santa & Towa (12/25). Today it was rehearsals for Λucifer’s performance in Thailand. Today we also said farewell to the staff who were with us on this tour… really, thank you very much! 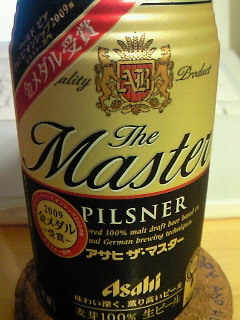 Then, I contemplated on it for a long time, but I ended up calming myself with a beer after all. The rehearsals for the Thai performance have begun. I wonder why horumon’s so good..
‘Tis Λucifer’s debut day today. Though the Thai performance still remains for the 10th anniversary tour, it’s already the 11th anniversary! In any case, it’s a joyous day! 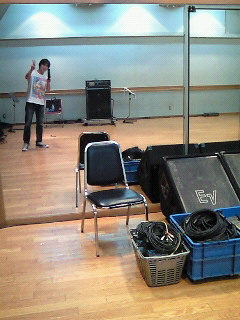 Λucifer’s last rehearsal has ended, too! 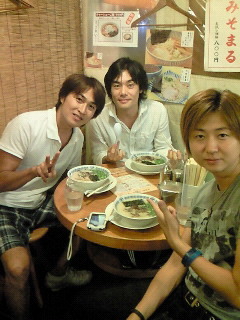 Then, after rehearsal we had ramen with Akkun and cameraman Uecchi! 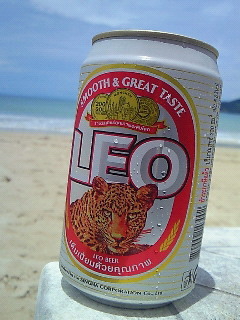 Now then, only the Thai performance left! 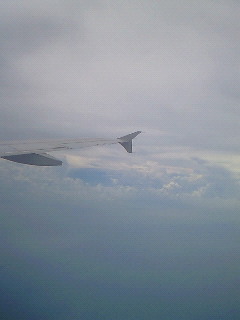 Getting to Thailand safely and doing the live～!!! Today in preparation for the live…. 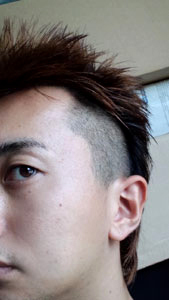 I cut the sides a little too close than normal!!!! The other members aside from me landed there safely today. I had WeiWei’s erhu classroom recital’s rehearsal today, so I’ll be going one day later. I haven’t been on an airplane alone before, so I’m feeling a little bit uneasy! 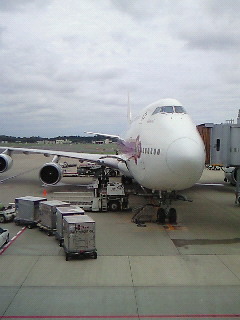 For now I’m heading towards Narita Airport! It seems I’ll be getting on this guy. Well then, I’ll be going now! 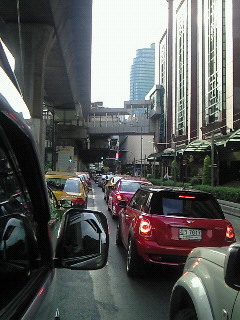 I’m in the car that picked me up but there seems to be lots of traffic! I’ll be joining up with the other members soon! Now then, today it’s Λucifer’s reformation live’s last day! 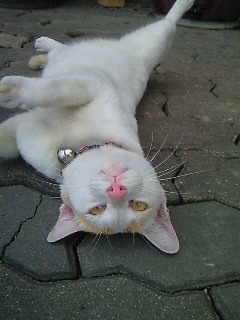 In this picture’s a Thai kitty cat I met by chance while running! I’ll do my best on this last day! 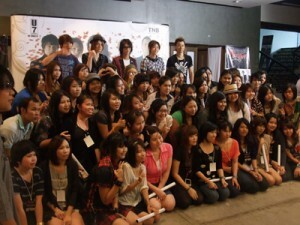 Best regards to all of you Thai fans! And the fans in Japan, please cheer us on from there! 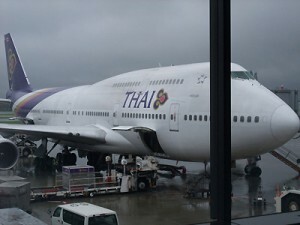 All the Thais, everyone in Japan who cheered us on, the staff, the members, thank you! 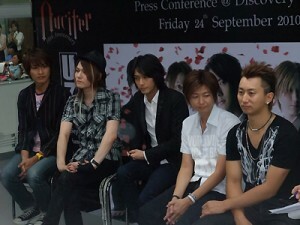 The fan meeting we had with all the Thai fans is now over, too, which means all our work as Λucifer is done. 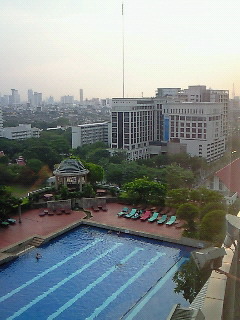 The picture is the scenery from the hotel. We took a one-hour flight from Bangkok to Phuket Island! I’m having a bit of a late, short summer vacation with the company president! But, it’s pouring down with rain! The weather today isn’t perfect, but it’s quite alright! Λucifer’s 10th anniversary commemoration reunion domestic tour took place in August on the Osaka, Nagoya, Akasaka area. 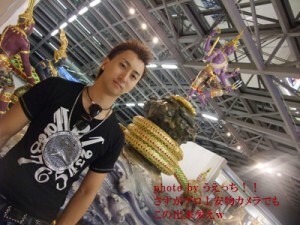 At last, the Thai performance has also finished. Seriously…. I had a hard time keeping calm and was about to chicken out during that time…. 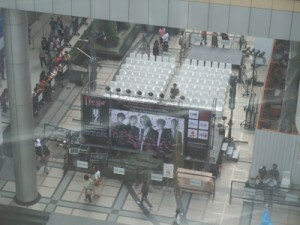 An event at the side of a shopping center!!!!! 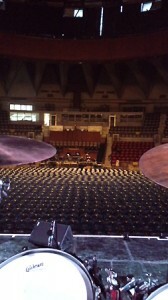 It looked like there were maybe a little less than 1000 people there～…. A lot of people came to see us. TOWA joined up with us just before this. 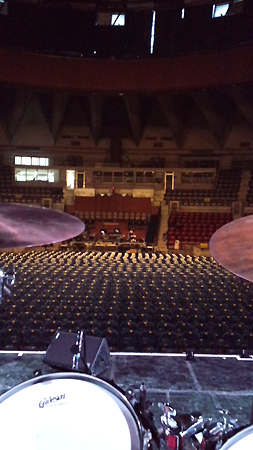 The venue was… kind of like a little martial arts hall. The sound engineer Takama who’s been with Λucifer since we were active gave us a nice sound today, too. 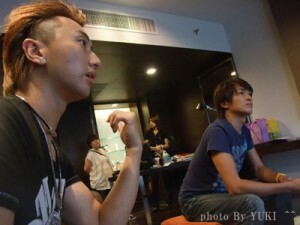 I’m really glad he wasn’t busy with GLAY this time～～..
And then an interview for the photobook!!! 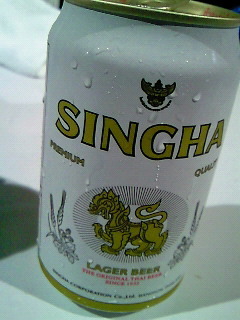 We received delicious beer from SHINGHA. The countdown for Λucifer’s revival has started!! All the tickets even to the additional show are already sold out. Their schedule looks like this. I’m gonna go see them, too! Everyone who was lucky enough to get a ticket, let’s meet at the venue! 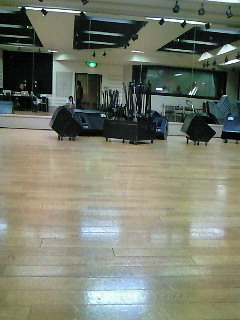 Λucifer’s members are now in the midst of rehearsals. The staff from the old days are back, too. They must be having a good time working together. The concert staff, who in those days often helped me out a lot when I was running around at Λucifer’s shows, mailed me about the state of the rehearsals. Little by little the feeling of “Ah, so they really will reunite～” started to come about. Some of the members are on twitter, so definitely follow them and read about their thoughts and latest happenings at the rehearsals! Please do your best☆ to make it a hot live!! The 10th anniversary festival is finally upon us! I wonder what kind of drama awaits us! Santa, good evening☆ Good work. Λucifer’s rehearsals for the reunion are over! The real deal is up next! First up is Osaka the day after tomorrow! They really went by in a flash eh! When you get back, please give your body at least a bit of rest. Good work at the rehearsals. At long last, I’m excitedly looking forward to the first Λucifer show since 7 years. Me, my daughter and my son are all three going to the Osaka show. 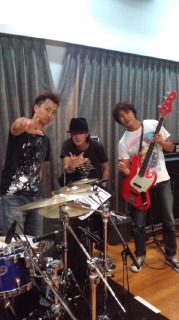 Good work at the rehearsals! First up, Osaka! Looking forward to it! Good work at the rehearsals. 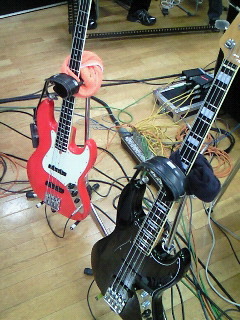 Really looking forward to tomorrow’s live at Osaka. The tour limited to just a couple of shows is finally starting tomorrow!!!!! I’m nervous as this time it’s different from the usual when I’m just a supporting guitarist. This time it’ll be from the standpoint of an artist. We’ve rehearsed a lot and done a lot in preparation for the live, so everyone please enjoy yourselves! I’m gonna have a lot of fun, too. The concept is that of a huge class reunion. 10 years since the debut, 7 years since the break-up, we get to do this even though it’s a band with only around 3 and a half years of activity. It makes you realize music really is a wonderful thing. I really think it’s great. Thank you all for the messages!!!!! 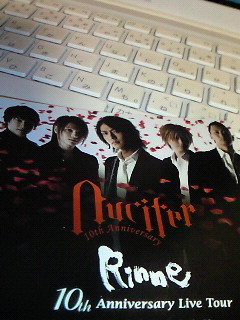 10 years ago yesterday was Λucifer’s first time at Budokan. First let’s just concentrate on this live! 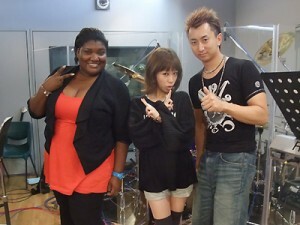 The edition of Happy Music I recorded a while ago airs this week on 8/27 (Friday) at around 1:43 AM.